Alipay, the digital payment company owned by Alibaba, China’s largest eCommerce company, has inked a partnership with Poynt, the maker of smart terminals. According to a news release from Poynt, under terms of the deal, Alipay’s more than 520 million registered users in China will be able to pay with Alipay across all Poynt devices in North America. The Poynt Smart Terminal enhances the checkout experience by featuring dual touchscreens, wireless connectivity via 3G, Wi-Fi or ethernet, connection to a merchant’s existing payment processor and supporting multiple payment options. The company’s newest system, the Poynt 5, has all of the Poynt Smart Terminal’s most popular features on a single-screen, handheld mobile point-of-sale (POS) system available to enterprise merchants. “We are thrilled to partner with Alipay. 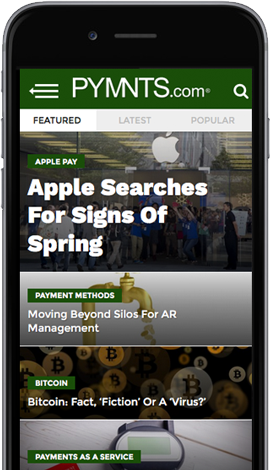 Acquirers and merchants choose Poynt terminals to deliver on consumers’ increasing tech-rich expectations; this partnership furthers our mission to empower merchants with technology superpowers and consumers with the best shopping experience,” Osama Bedier, CEO of Poynt, said in the same press release. Poynt, which claimed it is the first checkout experience to offer Alipay acceptance across acquirers, enables Alipay QR Code payments as part of its existing smart terminal capabilities, which includes mag stripe, EMV, NFC and gift cards. Merchants utilizing Poynt terminals will be able to accept Alipay without the need for any additional integration or hardware, the company said in the release.